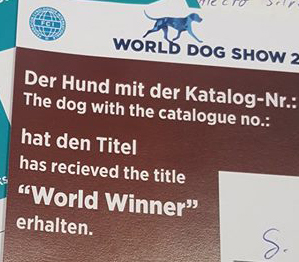 Danibull ALECTO SILVERTINA won on World Dog Show in Germany WORLD WINNER 2017 and also BOB on GERMAN WINNER SHOW, he´s now GERMAN CHAMPION. The Department of Genetics and Breeding Biology of the Slovak University of Agriculture in Nitra is engaged in the testing of the "Genetic Assumptions of Allophecies in the Slovak Rough haired pointer". These are long-term research, but they are currently testing the highest amount of SNP in Europe per individual. Methods are tested on multiple breeds. Based on this, genetic assumptions for alopecia (follicular dysplasia - alopecia) can be confirmed or excluded. However, the intention is to identify other causes of alopecia, which may be a secondary manifestation of metabolically-related diseases with an inherited basis. But there is a need for close cooperation with the breeder or, respectively, a veterinarian. 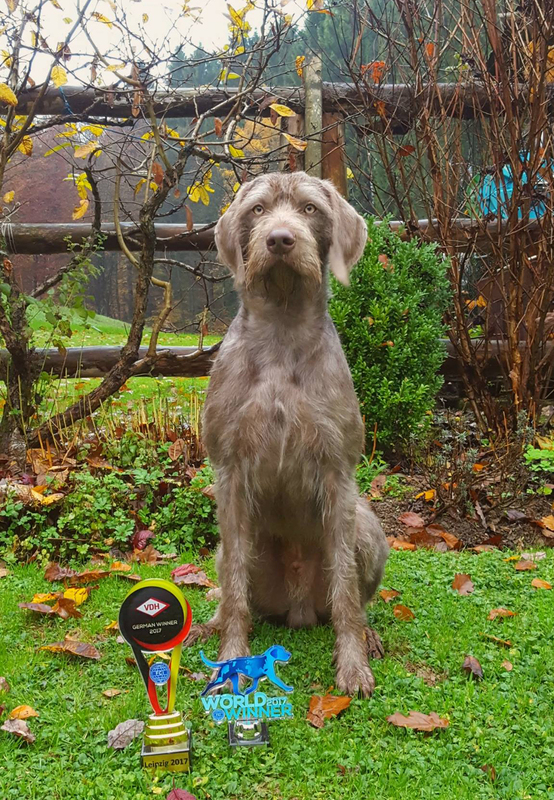 Testing can bring a solution for the biggest genetic problem of the Slovak rough haired pointer - a disease called alopecia. Based on this, we decided to take all litter puppies "B" into this test. 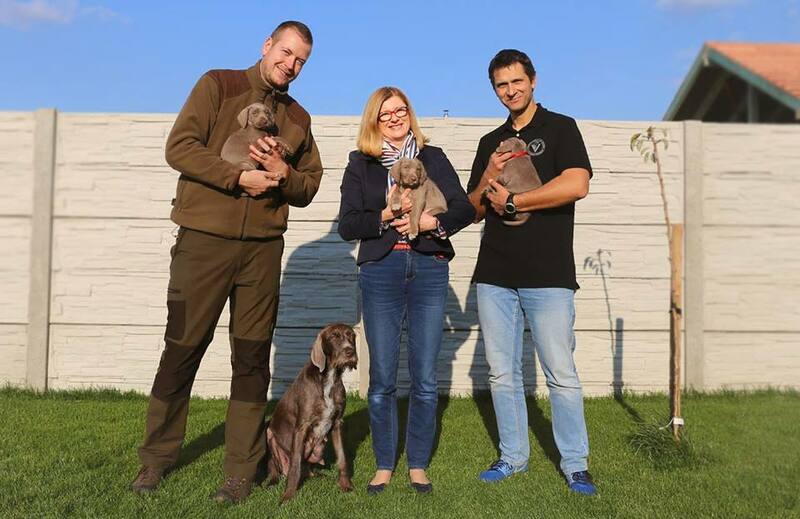 Parents of the litter (Kubko and Chilly, even individuals from the next generation in the back) have already been tested in the past, so our litter will become unique, and I hope it will launch this testing trend for the future. I believe the information obtained will be of great benefit in the future of this breed.